It’s just about summer! 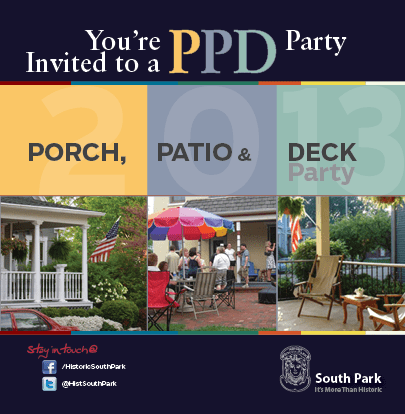 In South Park, that means four months of fun at our famous PPD (Porch, Patio, and Deck) parties! This year’s PPDs will start at 6 PM – Check your inbox for more information about two weeks before each party! Be sure to check out our events calendar!